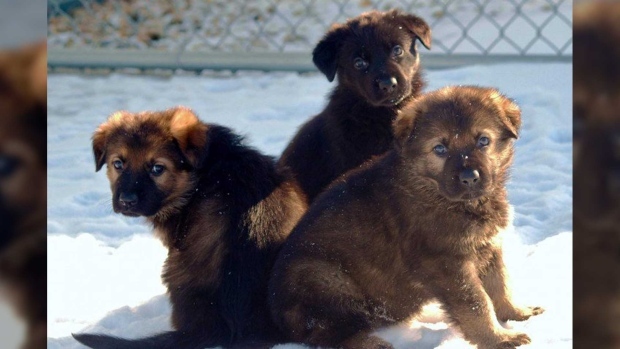 Mounties across Canada are asking for the public's help to name these puppies. When the RCMP asks the public to help name someone, it's usually a suspect. But this time, they're asking for answers in a different kind of case: What should Mounties call their latest four-legged recruits? In a message posted on Twitter, detachments including the Surrey RCMP reached out to young dog lovers for suggestions. The winning names must start with the letter "M," be no more than two syllables, and no longer than nine letters. Contestants must be 14 years old or younger and live in Canada. 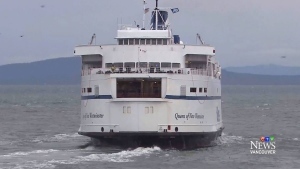 Here's how to make a submission in the naming contest, which wraps up on March 26. 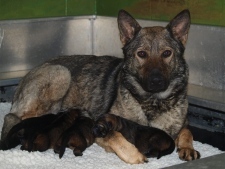 Mother Jola and her pups are seen at the RCMP Police Dog Services Training Centre. 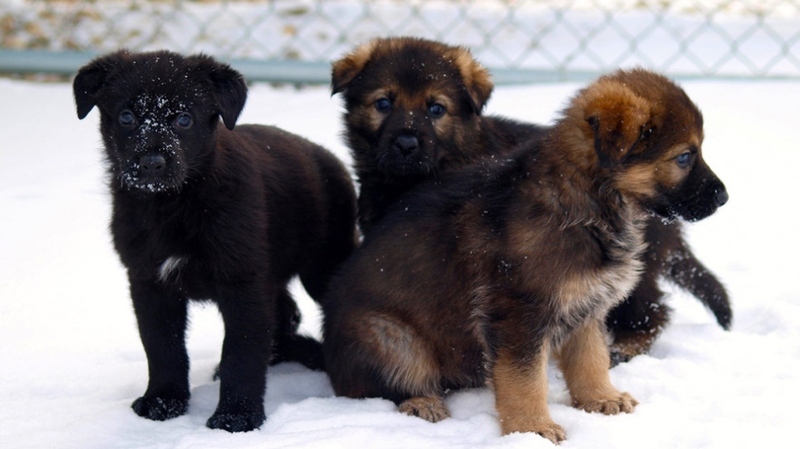 The RCMP has launched a contest to name the puppies.